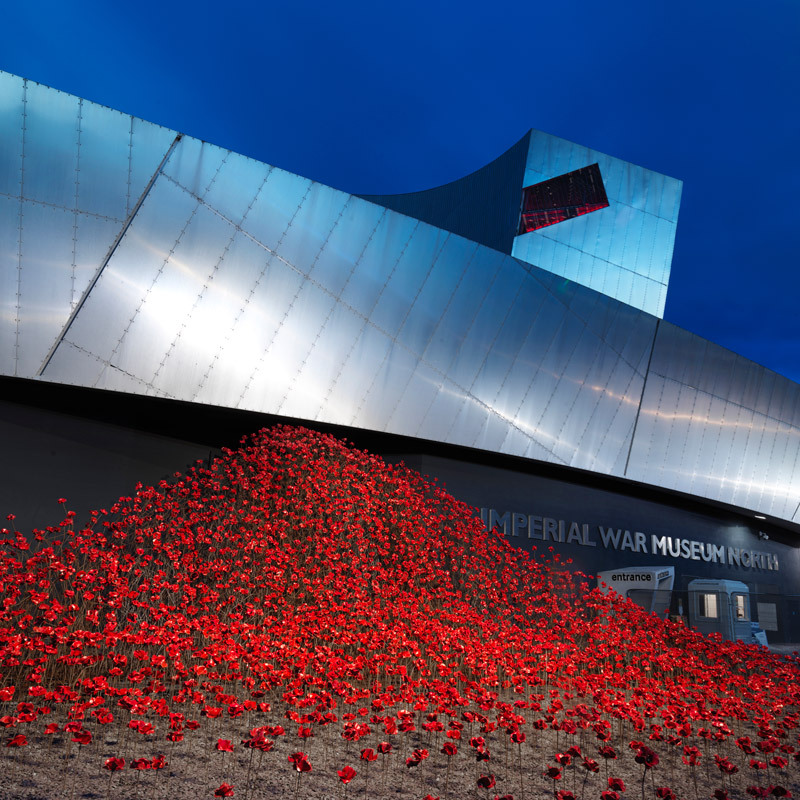 On 17 July 2014, artists Paul Cummins and Tom Piper marked the centenary of Britain entering the First World War by opening the art installation, Blood Swept Lands and Seas of Red (above). 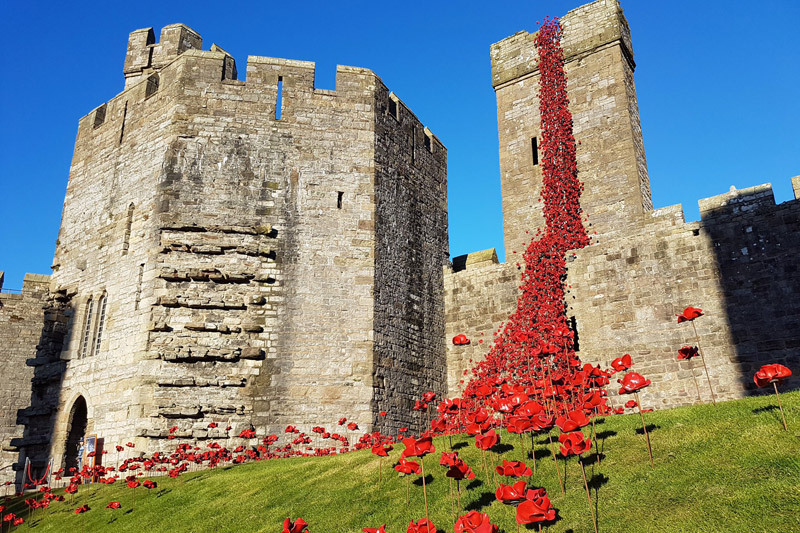 For this, the duo filled the Tower of London’s moat with 888,246 ceramic, handmade poppies – one for each British military fatality during the war. This 1924 memorial on the iconic Plymouth Hoe hosted Wave in 2017. 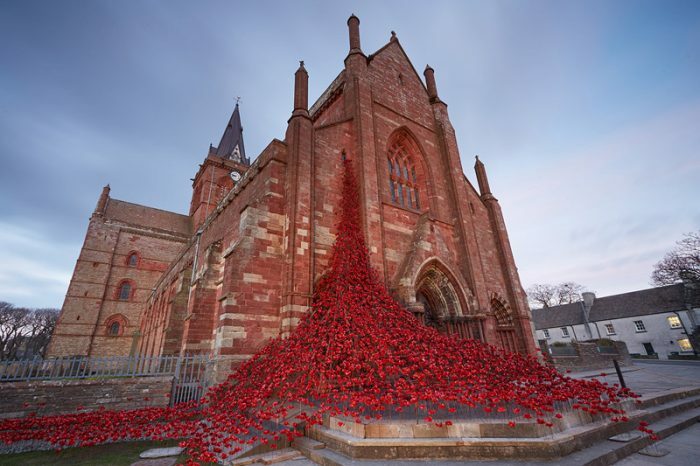 Weeping Window’s Welsh debut saw thousands of poppies spill from the battlements. 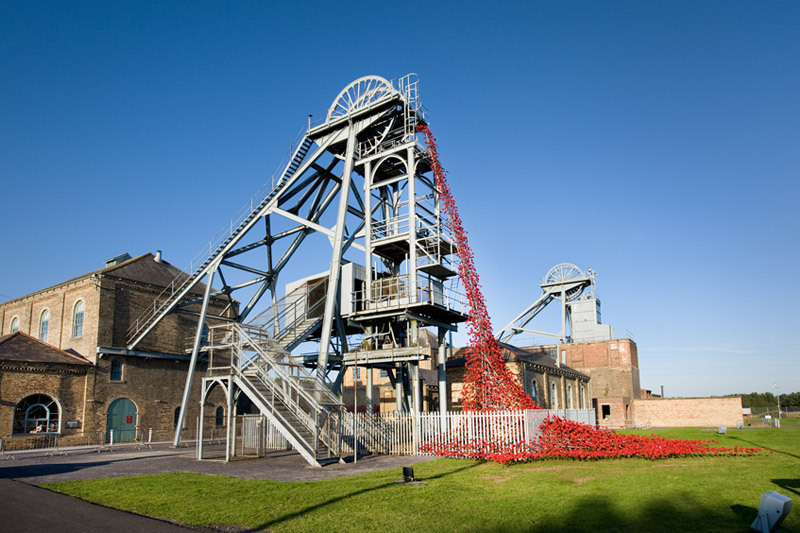 The 55-foot Heapstead colliery wheel swapped coal for poppies in 2015. 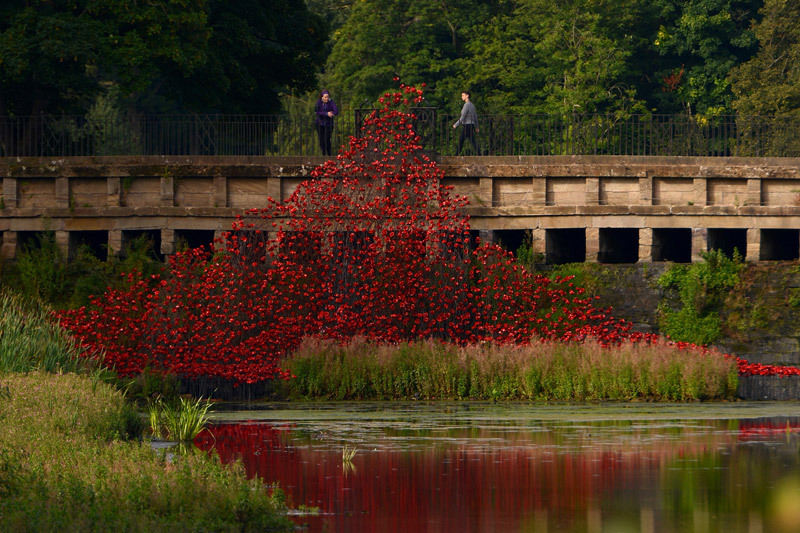 In 2015, a Wave of crimson rose from YSP’s historic Lower Lake. The poppies debuted in Scotland on the isle of Orkney, which is the former home of the Navy’s Grand Fleet. 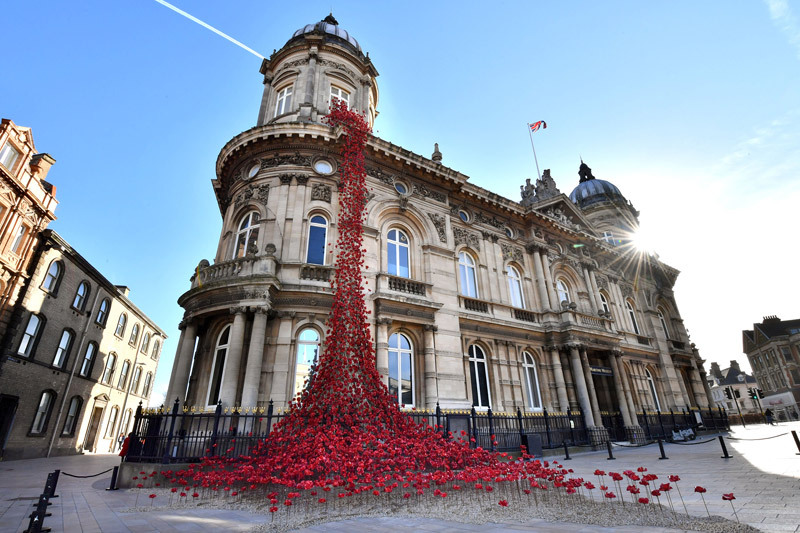 Weeping Window visited Hull Maritime Museum during the northern city’s stint as UK City of Culture 2017. 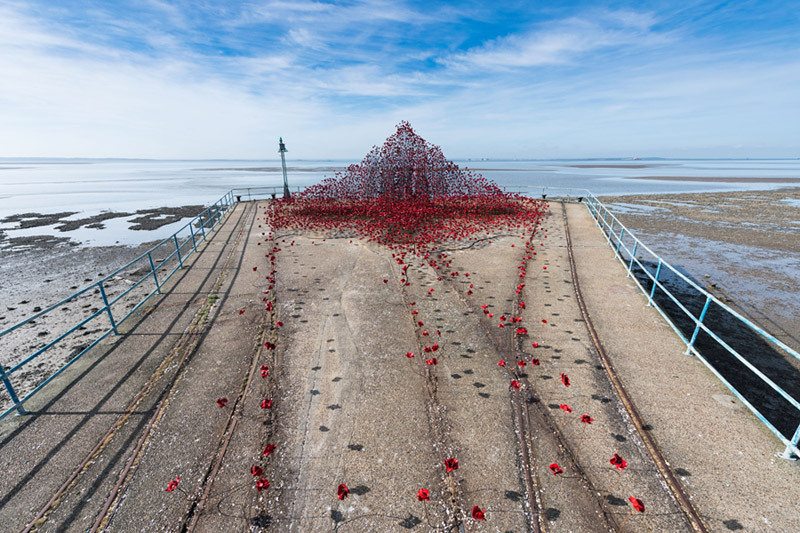 Wave hit Barge Pier in Shoeburyness where many First World War British guns were designed. The final stop on the 14-18 Now tour sees the Wave pour forth from Daniel Liebeskind’s iconic museum building. 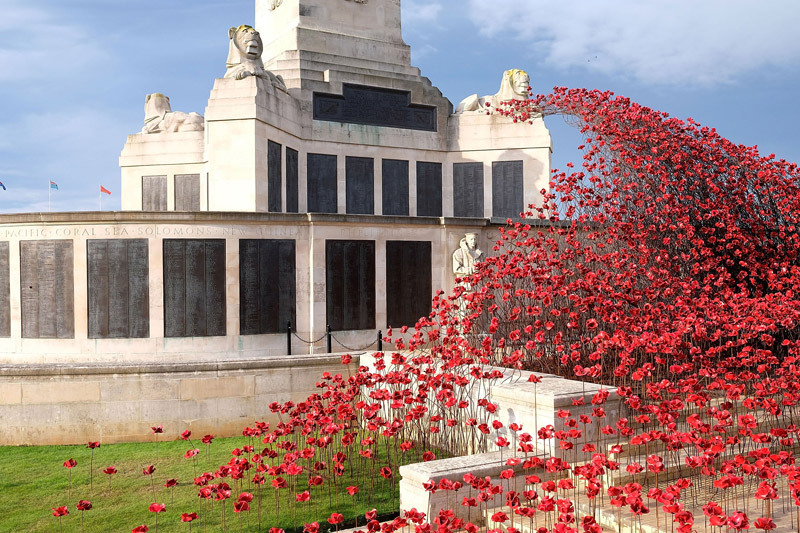 Read about the full history of the poppy as a symbol of remembrance in the issue 204 of Discover Britain.